It has been nearly 8 months since the first generation of Nendoroid More stands are previewed by Mikatan. Within that duration, I am pretty sure that the team behind this project have received enough feedbacks to refine and improve the stands, and now they are going to release it with “Version 1.5” tag. New colors of the Nendoroid More Suction Stands! The Nendoroid More: Suction Stands that give you brand new ways to display your Nendoroids are being released in a new 1.5 version! The previous ‘white’, ‘pink’ and ‘mint’ colors are all available as before, but three new colors are now also available – the much-requested ‘crystal clear’, a soft yellow ‘dandelion’ color that suits many characters and a ‘cerulean blue’ color made in the image of Nendoroid Hatsune Miku 2.0. This new version also comes with special attachment parts for characters with longer hair, making it even easier to display your favorite Nendoroids! 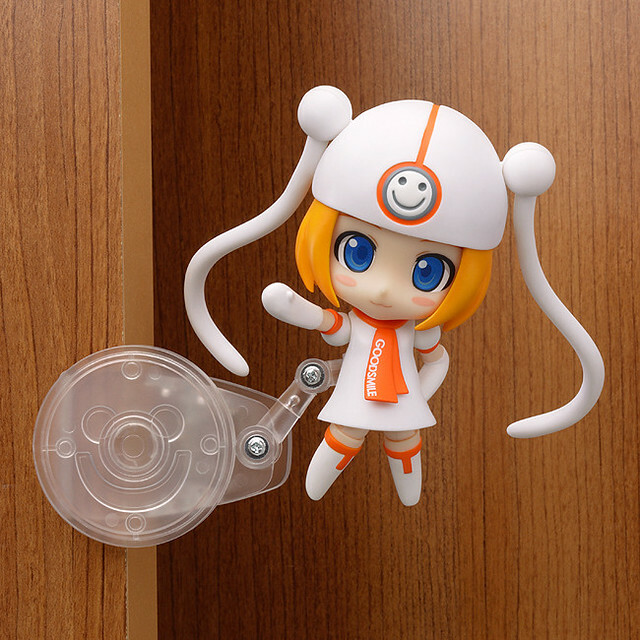 Be sure to grab some new Nendoroid More: Clip Stands for your own collection! … and in case you are wondering, here is how it looks like when the crystal clear suction stand is used on a Nendoroid. For those who prefer the clip stands, rest assured, as it is also get the half-point upgrade, dubbed as Nendoroid More: Clip Stands 1.5. 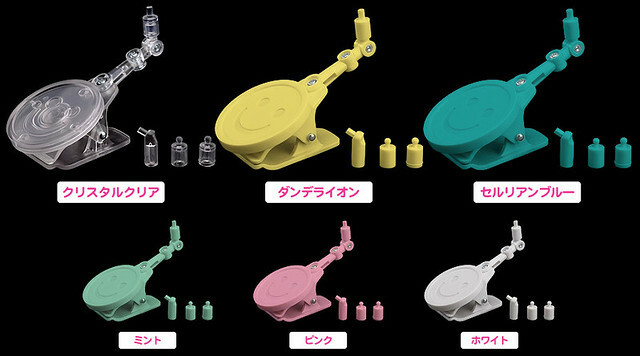 New colors of the Nendoroid More Clip Stands! 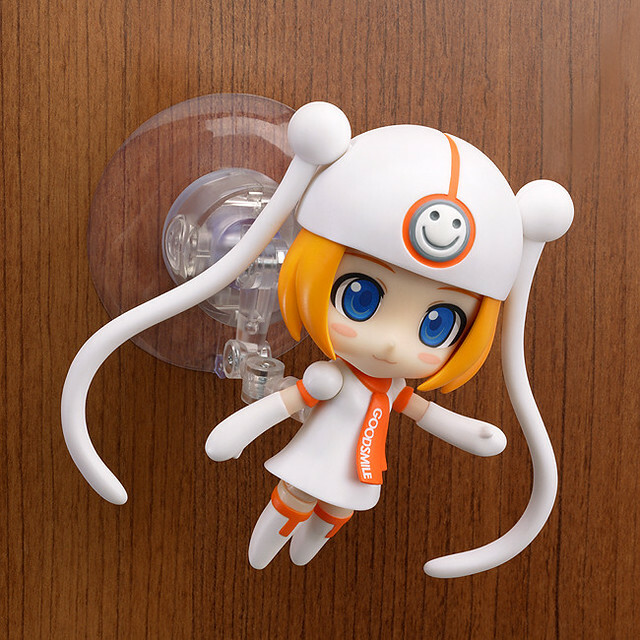 The Nendoroid More: Clip Stands that give you brand new ways to display your Nendoroids are being released in a new 1.5 version! The previous ‘white’, ‘pink’ and ‘mint’ colors are all available as before, but three new colors are now also available – the much-requested ‘crystal clear’, a soft yellow ‘dandelion’ color that suits many characters and a ‘cerulean blue’ color made in the image of Nendoroid Hatsune Miku 2.0. Here is how it looks like when it is used on Nendoroid Gumako. Each stand will cost us 500 Yen and it is scheduled for August release. This entry was posted in News and tagged gumako, more, nendoroid, stand base.